The Autoharp and Chromaharp (aka chorded zither) are exceptional instruments. They have a unique sound that when played slowly has an almost harp-like sound, but when played with full fervent strums, their sound is all their own. Most commonly used for Old-Timey music, you'll also hear the autoharp used in bluegrass, country, Celtic, folk, pop, rock, jazz and really just about every style under the sun, with the only limit being your imagination. It's the perfect instrument for the beginner who is new to music to the experienced professional. 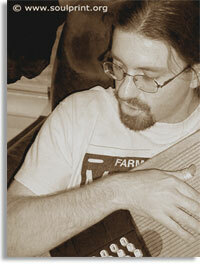 Marc Gunn is a Celtic folk songwriter and autoharpist who performs with the Brobdingnagian Bards. He began playing the autoharp in 1997 and has since then introduced the instrument to thousands of people worldwide through chart-topping MP3s through which his group has attained international success. He hopes to use his music to renew the public passion for the autoharp as it was in the days of the Carter Family. That's one of the great things about the autoharp. It's been hailed as a wonderful instrument for children and elderly, because it is simple and easy to play. The most difficult thing about playing the autoharp is tuning it! Is the autoharp only for beginners? Not a chance! There are some absolutely amazing autoharpists out there. That's one of the reasons I started this site. I wanted to "hear" all the great autoharpists that are out there around the world. Master autoharpists like Bryan Bowers, Karen Mueller, Lindsay Haisley, Les Gustafson-Zook, Mary Umbarger, Carol Stober, Bob Woodcock, Meg Peterson, Roz Brown, Ivan Stiles, Cathy Britell, Nathan Sarvis, Patsy Stoneman, Mike Fenton, Carey Dubert, Tina Louise Barr, The Carter Family, Alan Mager, Evo Bluestein, Harvey Reid, and John McCutcheon, to name a few, can be found worldwide. With patience and a lot of practice, anyone can turn this simple instruments into a musical gem that'll be the envy of all your friends. What's the difference between the Autoharp and Chromaharp? The main difference between the Autoharp and Chromaharp is the brand name. The autoharp is the generic name that is most commonly associated with Oscar Schmidt the chief manufacturers. The Chromaharp is a trademarked name from Rhythm Band. You'll also find custom luthiers who make customized autoharps. The prices are usually much higher, but the quality is worth it! Find out more info about how to get started listening to autoharp music online and finding free folk music downloads available online. With a little luck and persistence, you can find a great deal on an autoharp to get started playing today! I first learned to play music using books by Meg Peterson. Since then I found a few other fantastic books for building up your autoharp chops. Includes my Top 5 pick of autoharp books to learn from. Everyone has their own preference of autoharps. Mine are the economical and nice sounding autoharps by Oscar Scmidt. Here's a few cool picks as well as some Luthiers you can contact for custom autoharps. Chromaharps cost less in general and make great starter instruments. Everything you need to fix your autoharp when you're on the go. There are a growing number of autoharpists recording music. The tough part though is that most of them don't sell online. 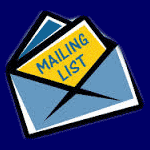 I've compiled a list of those that do have CDs you can put online. This is the most-comprehensive list of autoharpers I have been able to create. I'm still building it. You can help by offering suggestions. Need a tuner? Tuning wrench? Picks? Strings? I found some great deals on all. How do I get added to the Autoharp Radio station? It's easy and free to do. If you have recorded autoharp music and want to get heard, click here! Links to other useful autoharp and chromaharp websites. I've compiled a wonderful list of autoharp music that you can listen to on a streaming internet radio station. Listen and enjoy! Personal information about me, my poetry, photography, free autoharp music, and contact information.